The goal of this joint effort is to grow the DPF Doctor network from 40 to 200 garages in the UK by the end of 2018. The DPF Doctor network is a first-of-its-kind DPF advice service and is owned and run by Mr. Darren Darling from his Ashington HQ operation in Northumberland. Members of the DPF Doctor network gain access to a proven DPF cleaning system, along with hands on training that will give the new Doctor everything needed to make a professional assessment and subsequent repair. 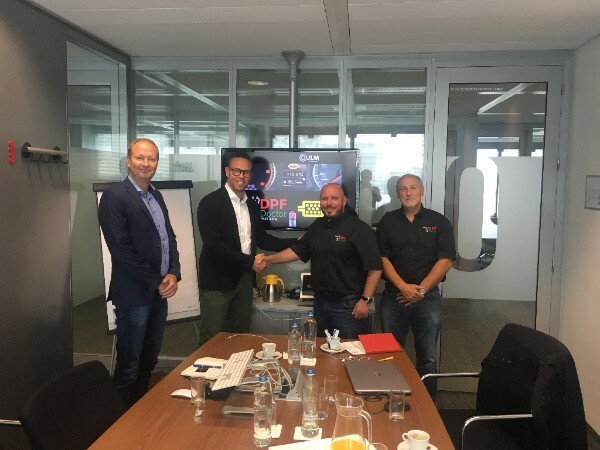 Gilbert Groot, founder of JLM Lubricants says:” JLM will not only supply the DPF Cleaner products to the DPF Doctor network, but will also bring unlimited marketing- and technical support to the partnership. This is a true win-win situation for both parties not only in the UK but also in international markets." "The combination of the powerful JLM DPF Cleaner product, with expert knowledge and technical and marketing support are crucial for today’s garages facing an increase in DPF faults. And through this partnership, we’re able to help even more businesses to tap into the incredible capabilities that the DPF Doctor ecosystem can deliver." Besides providing the training to bringing new members up to speed on the technologies and procedures, the DPF Doctor network also has its own technical support line, backed up with access to a private forum, which allows members to interact ‘live’ with the whole network of Doctors across the UK and beyond. At any time, someone within the network will have the experience or information needed, so that the job moves forward and the customer gets a cost effective solution to their DPF problem.